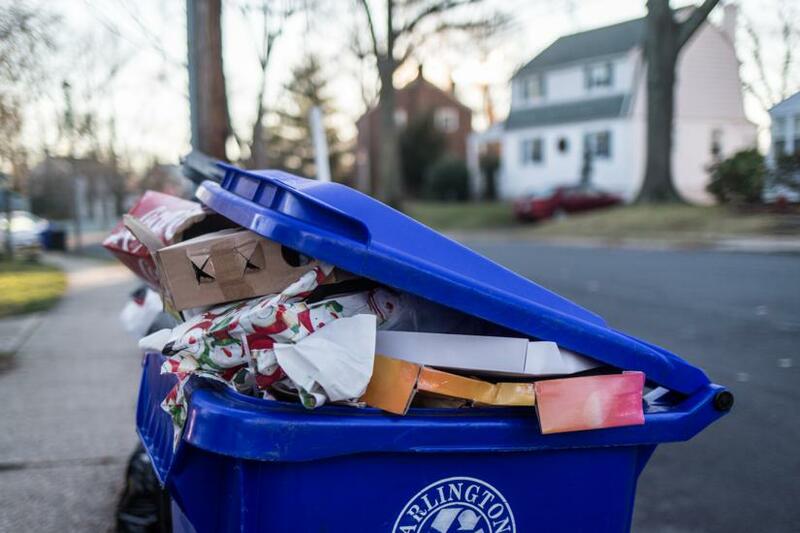 (Updated at 5:15 p.m.) Arlington County’s costs for recycling is continuing to rise after a Chinese ban last year, officials say, but most of what residents place in the recycling bin is still getting recycled. Costs for processing recyclables have risen from $15.73 per ton to $28.62 per ton in the last six months as the value of things like paper and plastics is plummeting, Arlington’s chief of solid waste Erik Grabowsky told ARLnow today. Recyclables remain cheaper than trash, which costs the county $43.16 per ton, but the industry lost the primary way items get recycled. Recycling is a $200 billion global industry with China importing as much as 70 percent — that is, until the country abruptly stopped in January 2018 over pollution concerns. The loss of such a big buyer has plummeted the value of some plastics and low-grade paper, forcing many cities to nix recycling all together, the New York Times reported last week. “The China Ban has negatively impacted recycling commodity markets around the world. As a result, the value of the recycling material collected in the county has declined,” Gabrowsky said. Another ongoing problem for the county is glass. Glass may seem like an easy material to reuse, but “single-stream” recycling systems like Arlington’s often shatter bottles. The result are mixed-up colored glass shards, which makes it difficult to separate from other recyclable materials. The only exception is glass delivered to the county’s two drop-off centers at N. Quincy Street and Washington Blvd and 2700 S. Taylor Street. Glass from those two containers is shipped to Fairfax County where local officials are experimenting with a pulverization machine that smashes glass into sand they hope can be used to repair roads.